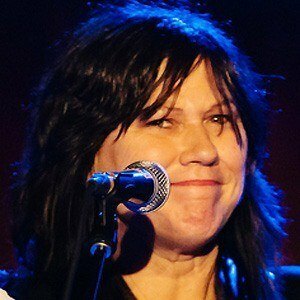 Vocalist and bassist who rose to stardom with the alternative rock group The Pixies and who worked as the vocalist and guitarist for The Breeders. She formed The Breeders with her sister Kelley Deal at the age of seventeen. She reunited with The Pixies in 2004 for a tour around the U.S. and Europe. She married Kevin Murphy in 1985. Nirvana frontman Kurt Cobain was a fan of her work, and called The Breeders' album Pod one of his favorite releases.